Purchasing of material is an important organizational function. Even though type of materials purchased may vary from organisation to organisation, the role of purchase manager is of great significance in each establishment. Purchasing managers are responsible for buying variety materials- from stationary to materials used for manufacturing, farm products and even services for institutions and organizations. Purchasing managers play an important role in a company's supply chain management. In large organisations, there is a department for purchase of materials, with purchase manager as the main head who is responsible for adequate and in-time purchase of all required material for the organisation. In this case the purchasing manager's role will sometimes be more supervisory, with other employees in charge of placing the orders. However in small concerns purchase manager is in charge of the entire responsibility of purchase. Purchasing managers identify global sources of materials, select suppliers, arrange contracts, and manage relationships. 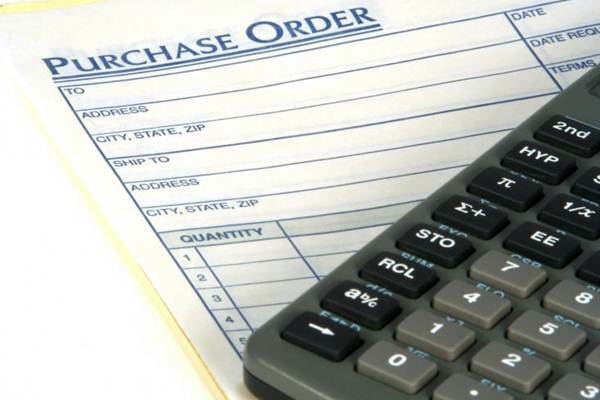 Purchasing managers direct the buying activities for a company/organization and factories. They buy products for organizations to use or resell them for profit. Their goal is to purchase the highest quality goods at the lowest possible cost in order to obtain the best deal for the company. Purchasing Managers job also involves forecasting accurately the company’s purchasing requirements, which means being aware of the cost of raw materials in world markets and the ability to predict the best time to buy to avoid potentially costly rises. Purchasing managers keep track of inventory levels, sales figures, competition sales activities, and general economic conditions that influence consumer behavior. The minimum educational requirement varies depending on the size of the firm. However most preferred qualification is bachelor degree in Business Management or administration. For advanced positions masters degree (MBA) is required. One can also go for courses in material management in which purchase management is a core subject. There are also various Post graduate diploma and certificate courses in purchase management. Useful areas of study to prepare for a career in purchasing management include business law, finance, negotiation tactics and business ethics. Purchasing managers need to be computer literate. They must be able to effectively use the Internet as well as supply databases and word processing software. Leadership quality and the ability to motivate others is necessary for this position. Problem solving and analytical skills used in mathematics are also an essential part of a career as a purchasing manager. Being able to express yourself well both verbally and in writing are important, especially where managing people is part of the job requirement. Foreign language skills are useful for those who want to work for international businesses. Computer literacy is a main requisite with the rise on online purchases these days. Another important personal requirement is negotiation skill. They also must be skilled at finding cost savings. Purchase managers nature of work varies based on the organisation. A key component of a purchasing managers job is finding and evaluating vendors and suppliers. A Purchasing Manager often supervises purchasing agents and buyers, but in small companies the Purchasing Manager may also be the purchasing agent or buyer. They take responsibility for the buying or approving of acquisition of goods and services required by the company. This job can also be referred to as Procurement Management. Most purchasing managers work in comfortable offices. There are also negative aspects - for them working hours are not fixed, evening and weekend work are also common during peak period to meet the goal. Traveling is also part of their work especially for those in fashion industry, to know the changing trends. Purchase managers have wide spectrum of employment opportunities in public as well as the private sector. They can seek employment in government departments and various public sector undertakings, Industries such as manufacturing, pharmaceutical, logistics, corporate house, banks, financial corporations, and trading corporations. These professionals also have options in media, entertainment and fashion industries. Tourism, travel and hospitality industries also throw open a lot of opportunities for purchase managers. In recent times, Telecom and IT sector has also opened the door of employment for these professionals. Earning of a purchase manager varies from industry to industry. Salary mainly depends upon individual skill, qualification, experience, nature of job, location and nature of the employer. However, generally purchase managers have monthly salary of Rs 15,000-20,000 at the starting stage. With experience and ability this can go up, there is no bar for the right candidate. Indian Institute of Materials Management is a premier institute in India offering courses in purchasing management. This institute has branches at Bangalore, Ahmedabad, Chandigarh, Chennai, Goa, Kolkata, Hyderabad, Delhi, Pune and Vadodara.